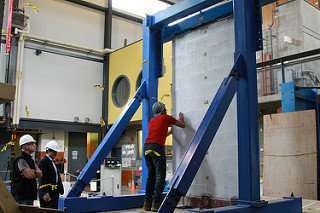 "We sprayed a number of walls with a 10 millimetre-thick layer of EDCC, which is sufficient to reinforce most interior walls against seismic shocks," says Salman Soleimani-Dashtaki, a PhD candidate in the department of civil engineering at UBC. "Then we subjected them to Tohoku-level quakes and other types and intensities of earthquakes—and we couldn't break them." EDCC has been added as an official retrofit option in B.C's seismic retrofit program, and the team will be working with contractors in the next couple of months to upgrade Dr. Annie B. Jamieson Elementary School in Vancouver. "This UBC-developed technology has far-reaching impact and could save the lives of not only British Columbians, but citizens throughout the world," said Advanced Education, Skills and Training Minister Melanie Mark. 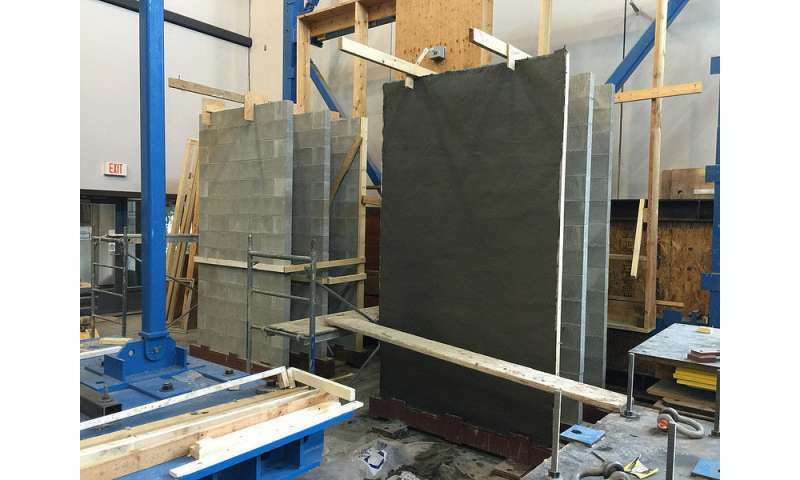 "The earthquake-resistant concrete is a great example of how applied research at our public universities is developing the next generation of agents of change. The innovation and entrepreneurship being advanced at all of our post-secondary institutions is leading to cutting-edge technologies and helping to create a dynamic, modern B.C. economy that benefits all of us." 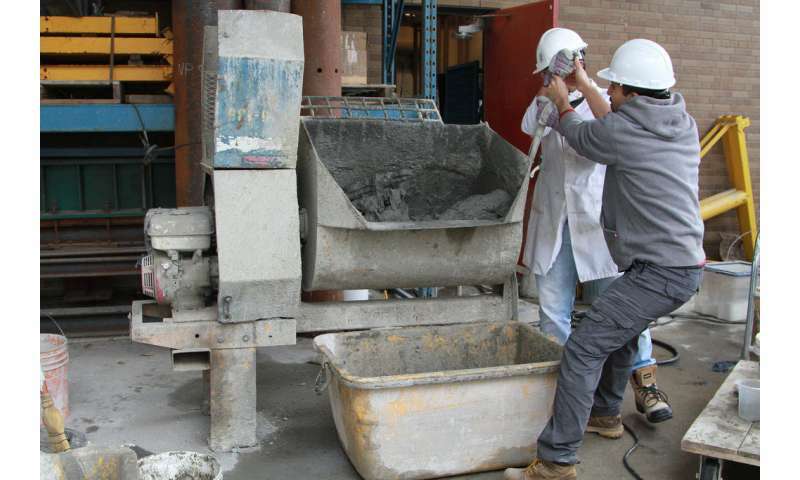 "By replacing nearly 70 per cent of cement with flyash, an industrial byproduct, we can reduce the amount of cement used," said Banthia. 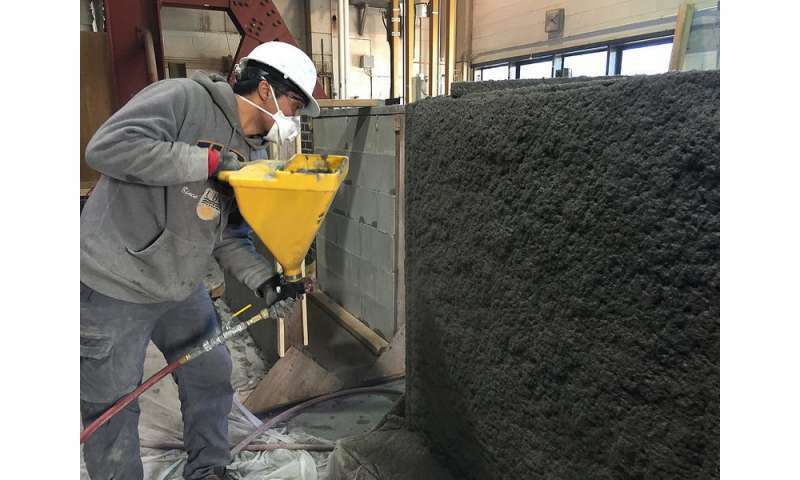 "This is quite an urgent requirement as one tonne of cement production releases almost a tonne of carbon dioxide into the atmosphere, and the cement industry produces close to seven per cent of global greenhouse gas emissions." "This technology is gaining significant attention in India and will provide our Canadian companies a strong competitive edge in the growing global infrastructure market," added Banthia, who also serves as IC-IMPACTS scientific director.